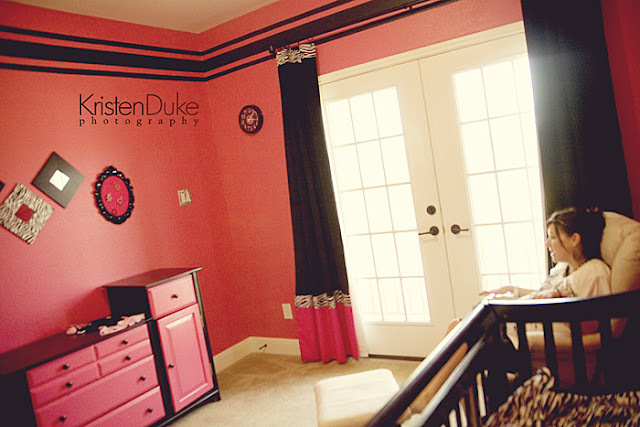 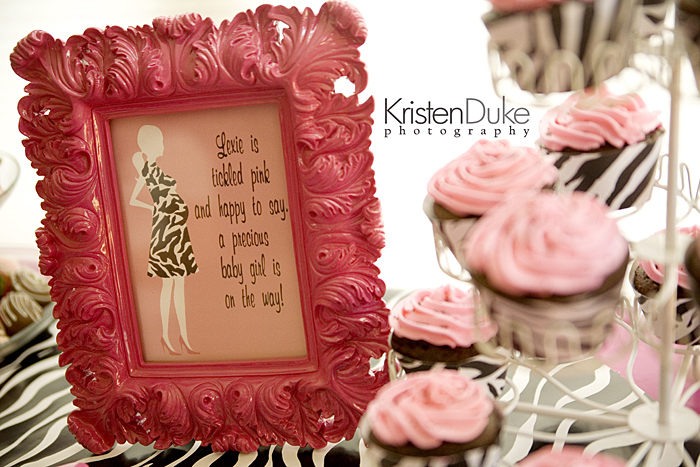 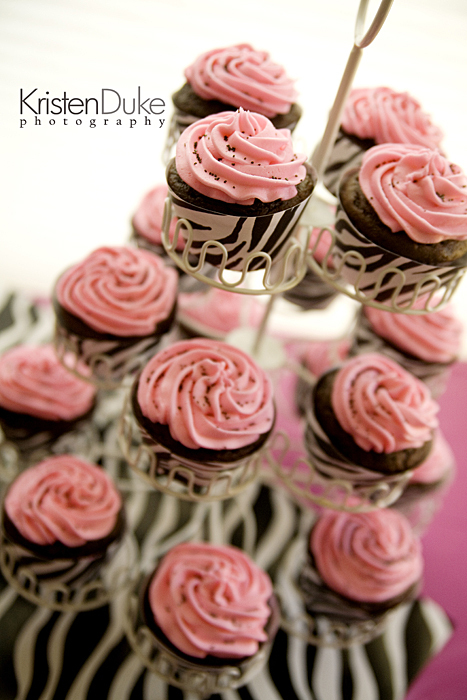 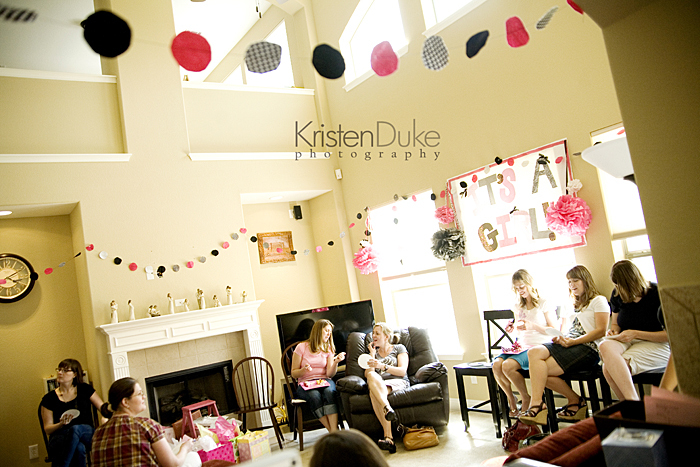 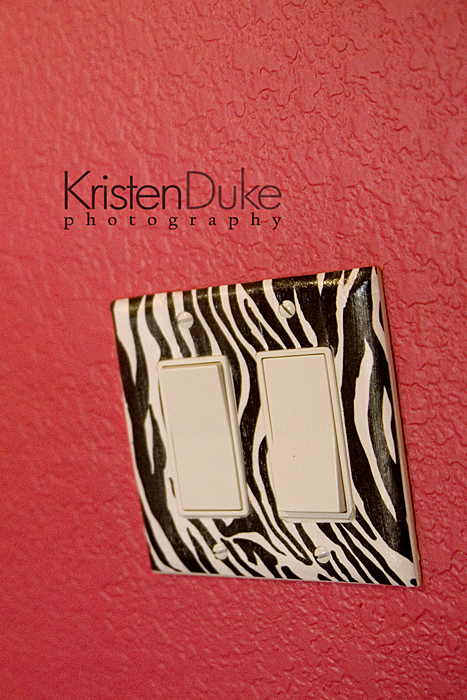 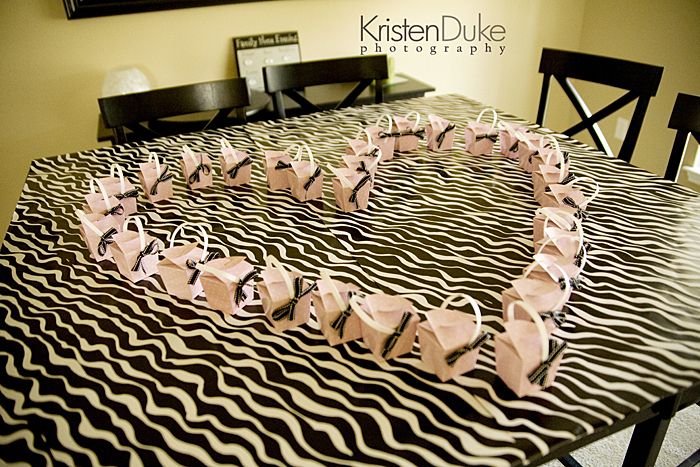 As Kristen Duke week nears the end we have a lovely pink & zebra baby shower inspired by the nursery. 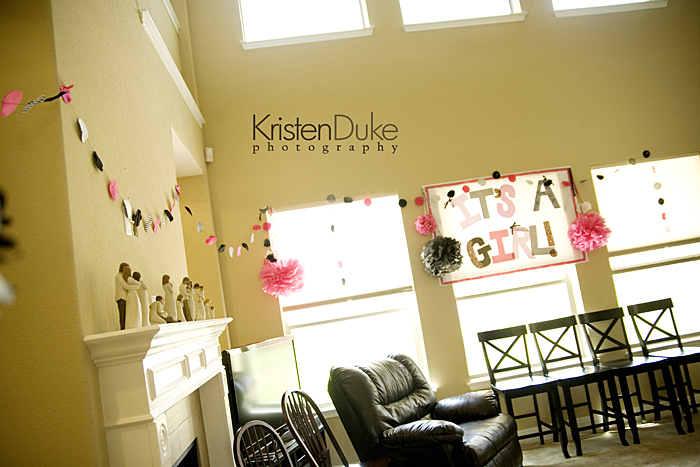 Sometime the theme picks itself and the inspiration from the lovely room was a great foundation for a baby shower. 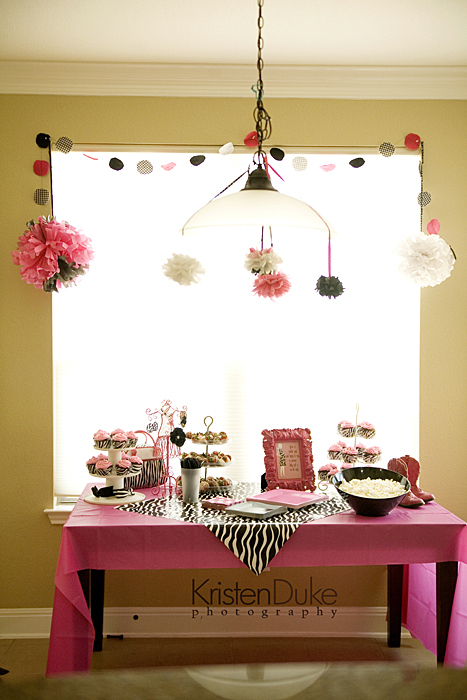 Wrapping paper was used as the tablecloth and cupcake wrappers; it's an easy and affordable way to tie in the theme without custom fabric and cupcake wrappers. 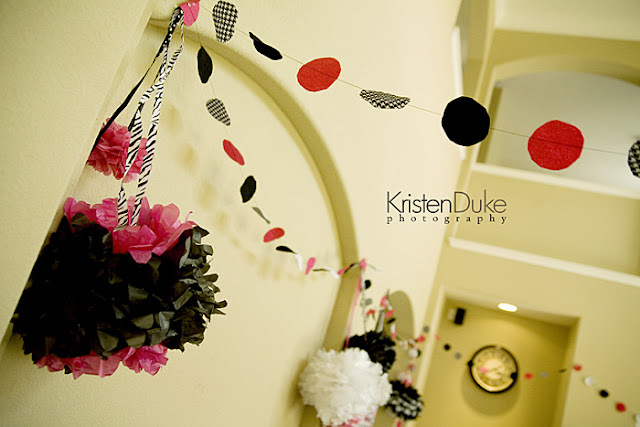 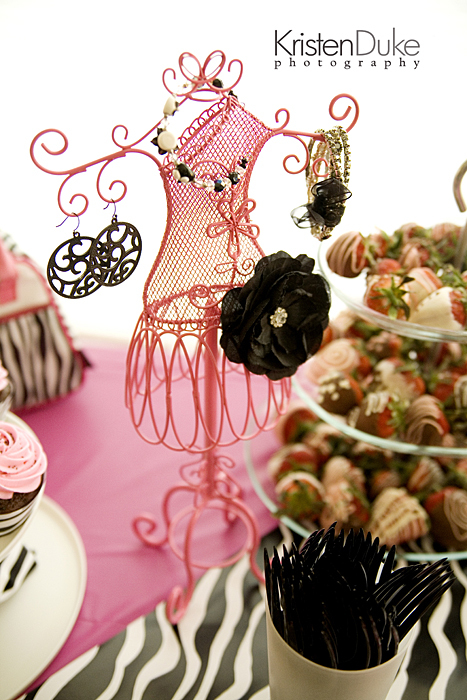 A little DIY and some creativity is always a winning party planning combination.